MERIDIAN — Teacher Caleb Wofford turns on the music and walks around his classroom. His students are not writing reports or taking down notes. Instead, they are practicing to be mechanical, electrical and computer engineers. Students take on these roles while working on projects. This is an average day in Wofford’s robotics class. Wofford got inspired by the show “Lost in Space” on Netflix to change his lesson plans to focus on curiosity. Wofford is using real-world applications of science, technology, engineering and math (STEM) to engage and introduce students to job opportunities they can pursue after high school. Wofford’s curriculum includes material from Project Lead the Way (PLTW) programs. Students develop STEM knowledge through real-world applied learning. He makes a narrative and objective for the students, and then explains why the subject is important to learn. For example, eighth grader Kevin Pulara is building a radio tower with a partner. The goal is for the tower to rotate using a battery, wires and a switch. Wofford doesn’t show an example of what the radio tower should look like because he wants students to think creatively. Wofford said students are problem solving, which sparks curiosity in creating and building. This isn’t just taking place in his robotics classes, but also in design and modeling classes and intro to coding. 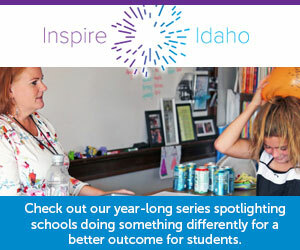 Borah Elementary kids build relationships with community members through a variety of activities. Hundreds of East Idaho students competed in the science-focused event covering a range of academic subjects. Prevention and intervention programs were initiated to combat drug abuse, stress, poverty, homelessness and depression. Principal Paul Harman hopes it will translate into better learning outcomes for his students. The night was a chance to model how a school, a community partner and families could come together to foster student growth.